A Dimensions Gold Collection kit, on 16 ct aida. 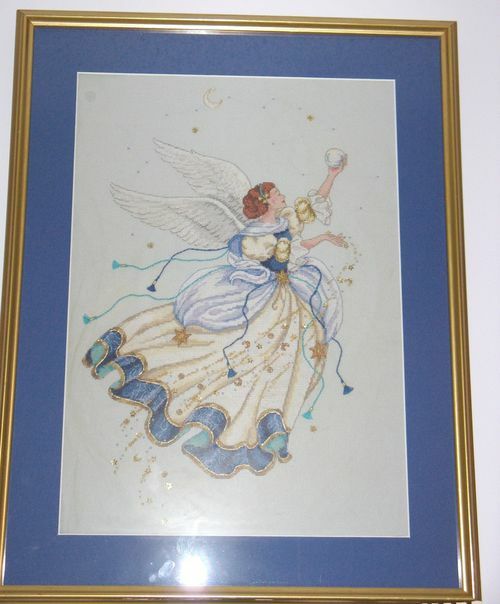 I stitched this in high school and finished in 1997, I believe. It was my first time stitching embellishments and it was a lot of fun. Framed by Michael's.